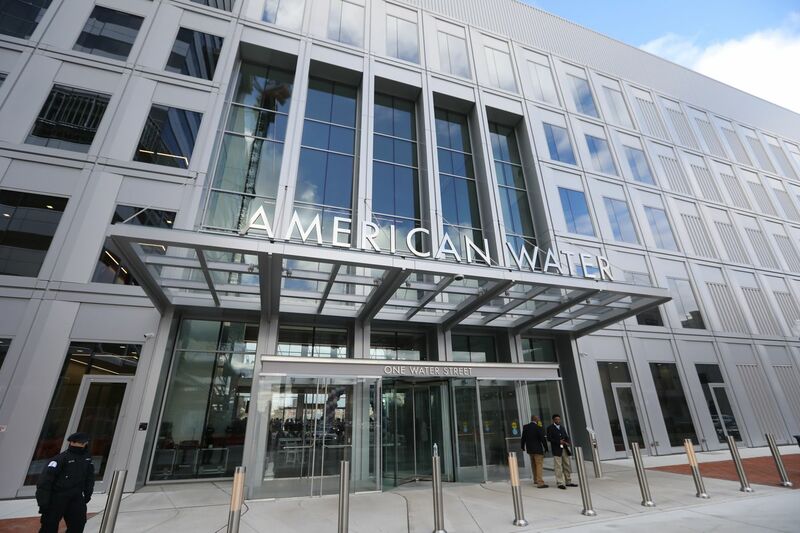 American Water unveils its new headquarters on the Camden waterfront. American Water Works Co. executives joined government officials Tuesday to mark the official opening of the utility’s new Camden headquarters, the first project to reach completion on a 26-acre waterfront development site seen as key to the struggling city’s revitalization. The publicly traded utility chose the site because of its Delaware River views, the opportunity it offered to participate in formerly industrial Camden’s hoped-for turnaround, and the branding synergy of a “1 Water St.” address, chief executive Susan Story said in an interview after the ribbon-cutting. American Water previously had corporate offices spread among multiple South Jersey locations. It also had considered headquarters options in Camden’s Gateway District office park — formerly a Campbell Soup Co. plant — and at the Navy Yard in South Philadelphia. It was awarded $164.2 million from the state’s Grow New Jersey Assistance Program to support the five-story, 220,000-square-foot Camden waterfront project. Other projects in the works in the waterfront development, which remains largely controlled by the Wayne-based developer Liberty Property Trust, include an 18-story headquarters building for South Jersey firms Conner Strong & Buckelew, the Michaels Organization, and NFI, and a 156-apartment housing complex being developed by Michaels. After the planned construction of a 180-room Hilton Garden Inn hotel by the Phoenix-based Ensemble Investments LLC on a waterfront parcel just north of the American Water building, three development tracts will remain available at the site, Liberty chief executive William P. Hankowsky said after the ribbon-cutting. Liberty, which announced in October that it was phasing out its office-construction business to focus on warehouse projects for shipping-and-logistics tenants, will seek buyers for the remaining sites, rather than developing them for future occupants itself as had been part of its plan when it entered a deal for the property in 2015, Hankowsky said. The company’s last remaining office-development project after its completion of the American Water building is a research-and-development facility for the Shanghai-based pharmaceutical company WuXi AppTec at the Navy Yard’s central business park, where Liberty completed its first of 12 buildings in 2015.